Pamper your skin with softening Cocoa and Cupuau Butters and nourishing botanical moisturizers like Sunflower and Olive Oils. Indulge your senses with the rich aroma of Cocoa Butter and a hint of Vanilla. 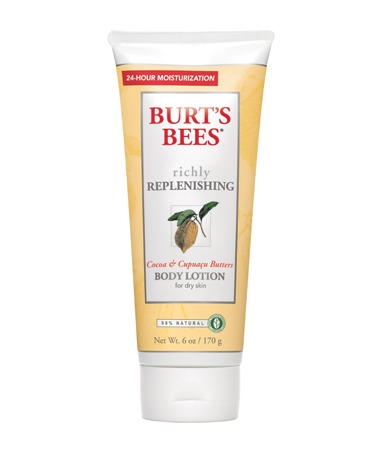 Clinically proven to moisture for up to 24 hours, Burts Bees Richly Replenishing Body Lotion leaves dry skin feeling soft, smooth and healthy, naturally. For dry skin. Dermatologist-Tested. Absorbs quickly. Non-greasy formula. 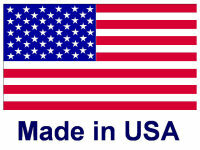 Cocoa Butter Triglycerides of fatty acids made from the beans of the cacao tree (Theobroma Cacao).